It is in this backdrop that we are first introduced to Mission Specialist Ryan Stone (Bullock), a medical engineer turned novice astronaut sent to repair an arm of the Hubble Telescope, and ebullient, assertive veteran Mission Commander Matt Kowalski (Clooney), out on his last voyage in space. During a routine scanning system installation on the exterior of their shuttle, an intentional demolition of an obsolete satellite sends shrapnel debris unexpectedly hurling through space right in their direction. This nightmare scenario, called the Ablation Cascade, was first hypothesized back in 1978 by NASA scientist Donald J. Kessler. 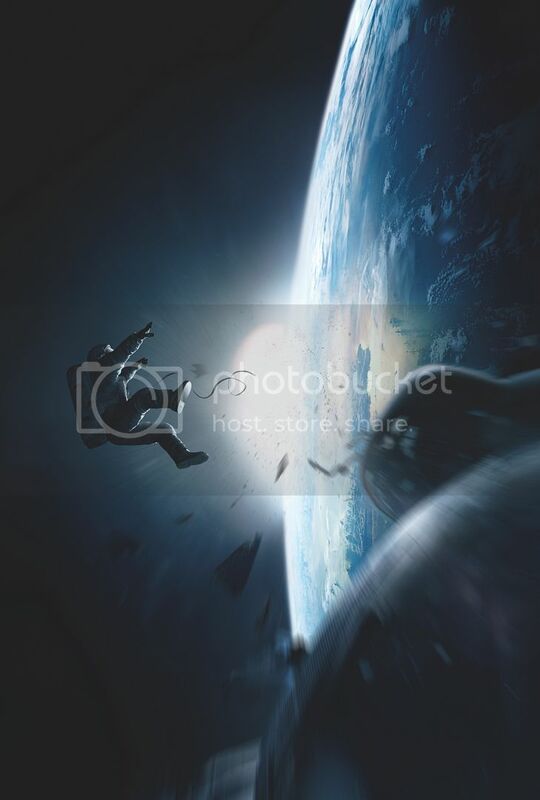 Once the density of objects flying in low Earth orbit became high enough (everything from space junk to satellites to intergalactic matter), a collision between two of those objects would lead to further collisions with other nearby objects, each creating more dangerous debris hurling through space. With catastrophic damage to their shuttle, Kowalski and Ryan are the sole survivors with no access to NASA Mission Control and no ability to steer their shuttle home. Limited oxygen supply and a series of tragic consequences soon leave the two astronauts to survival instincts and a last-ditch escape via an international space station as their only hope for returning to Earth. Dr. Ryan Stone (Bullock) and Astronaut Matt Kowalski (Clooney) working on their shuttle before a catastrophic accident moors them alone in space. Much like its smart 2013 predecessor, Europa Report, Gravity is a highly technical, pinpoint-accurate movie that relied on input from NASA astronauts and physicists for every level of execution. Director Alfonso Cuarón, working on his first big screen film in seven years, worked painstakingly alongside a talented crew to implement previously-unproven digital technologies aimed at transporting audiences into weightless space. Hold on tight! The jarring view from Dr. Ryan Stone’s (Bullock) helmet of a drifting colleague fighting incoming debris as they both try to stay tethered to their shuttle. Despite the thrilling story and technical fidelity, there is a stylistic beauty to Gravity rooted in simplicity, a silent abyss in the midst of intergalactic chaos. Cuarón’s desire to showcase space as a central physical and thematic piece of his movie is reflected in every frame. He perceived Gravity to be an existential film about “a woman drifting into the void and confronting adversity.” Rather than being tethered to the constraints of a time and place, however, the solar elements of space are the surge of life that inspires her to keep going. “I used to think that astronauts wanted to go into space for the thrill and adventure,” Bullock reflected. “When I spoke to them, though, I was so moved by their deep love of that world and the beauty of Earth from their perspective. It’s amazing to realize how small we are in this massive universe.” These are the very details that are magnified on screen as the story unfolds – a tiny human being drifting in the enormity of space, a comforting human voice on the radio amid total abyss, a teardrop defying gravity, the magic of another sunrise viewed from millions of miles away. Far more than just a creative interpretation of space, Gravity is that rare piece of art that can inspire and entertain, a true game-changer in a crowded space film genre. As Dr. Massimino emotionally reminded the press during the preview screening, centers like NASA and the Jet Propulsion Laboratory in Pasadena, CA are still doing important research as part of a space program that is very much thriving and as critical as it has ever been. Gravity is a magical way to bring the masses into space and inspire a new generation of support for NASA. “This movie will make folks understand what we do and why it is so important,” Massimino hopes. As a love letter to space exploration and the sheer strength of human tenacity, Gravity exceeds all expectations. Gravity goes into wide release in theaters and IMAX on October 4, 2013.
excellent review! now i want to see this movie!